Corporate meetings and events don’t have to be so, you know, corporate. Instead, make them creative. At The Alexander. Inside CityWay. In downtown Indianapolis. Here, big events begin as blank canvases primed for possibility. Big or small, indoors or out. The Alexander features 16,500 sq. 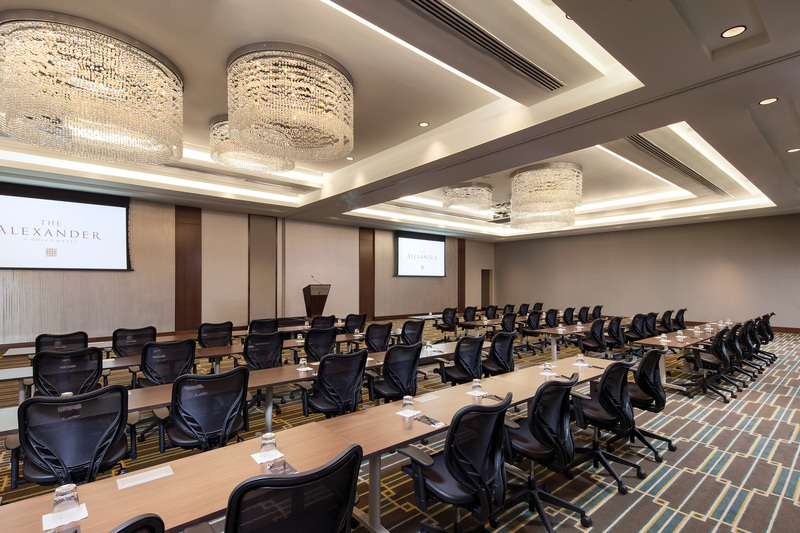 ft. of flexible meeting space and thought-provoking meeting rooms. Including special spots like the Penthouse Ralston Executive Boardroom with a wrap-around terrace, the 2,400 sq. ft. Outdoor Plaza and more. Plus, you’ll have the entire Dolce Hotels & Resorts palette of industry-leading programs and amenities on your side.